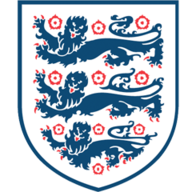 Roy Hodgson's one-off tenure of the England Under-21 side produced a 6-0 rout of Scotland U21s in Sheffield on Tuesday. England failed to claim a point at the European Under-21 Championship in Israel earlier this summer, but they easily dismantled a weak Scotland side at Sheffield United's Bramall Lane ground. With potential new coach Michael Appleton watching from the stands, senior coach Hodgson took charge for the international friendly and was treated to an encouraging goal-laden display. John Stones was the only new cap included in the first XI, while fellow defender Andre Wisdom skippered the side in front of a crowd of 26,942. Nathan Redmond opened the scoring in the third minute, latching onto Jonjo Shelvey's ball over the top and then finishing powerfully. The Young Lions doubled their advantage on 38 minutes. Shelvey fed Redmond, whose pass into the box took a slight deflection through Connor Wickham's legs and the ball fell neatly for Raheem Sterling to finish. An injury to Nathaniel Chalobah led to the Chelsea midfielder having to be stretchered off shortly before the break, with Ross Barkley replacing him. A mistake by Scotland U21 goalkeeper Jordan Archer saw England extend their lead five minutes after the restart. Archer sliced his kick downfield and with the ball travelling barely a few yards in front of him, Wickham skilfully lobbed it back over the custodian and into the net. Some comical defending from the visitors then allowed Barkley to stride through and score the fourth on 55 minutes, while Shelvey curled home the best goal of the night from long range a minute later. Number six arrived just after the hour mark as Redmond brilliantly jinked into the box on the right-hand side and played a pass back for substitute Tom Carroll to slam home. There were plenty of other attempts to boost the scoreline, with Sterling and substitutes Harry Kane and Sammy Ameobi unsuccessful as England eventually had to settle for six. England Under-21s will play their first 2015 European U21 Championship Group 1 qualifier when they host Moldova at Reading's Madejski Stadium on September 5, when Billy Stark's men continue their Group 3 campaign away to the Netherlands.